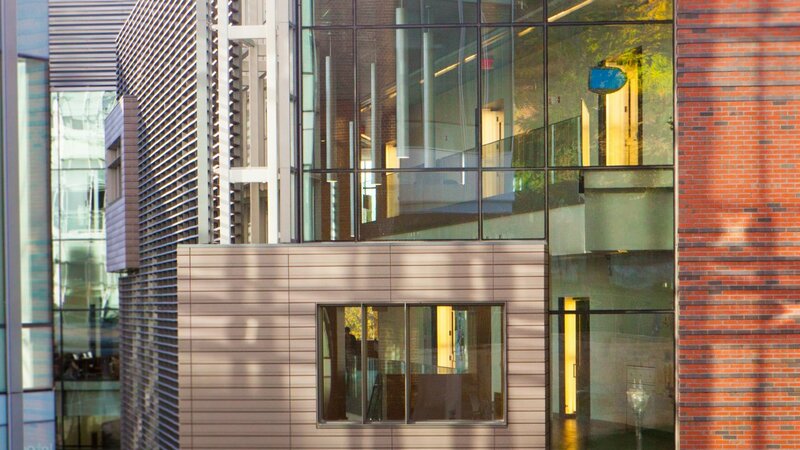 The campus is home to a number of green buildings, including those certified in Leadership in Energy and Environmental Design (LEED). The campus has easy access to buses, a fleet of Bike Share bicycles, as well as charging stations for electric vehicles. The campus uses reclaimed water for multiple uses in order to reduce potable water consumption. The green cleaning policy informs best tools, products and practices for maintaining sustainable buildings that protect human health and the environment.